Available on DVD or Blu-Ray. 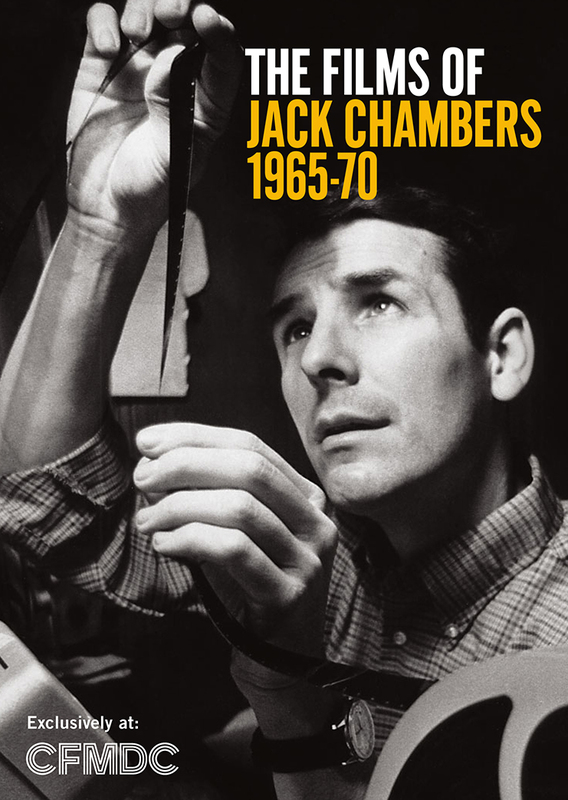 Click for a bibliography of works on Jack Chambers. Chambers in R-34 impressionistically documents the work of London, ON collage artist Greg Curnoe through rhythmic and softly focused close-ups. Curnoe’s art intertwines with Chambers’ daily routines: collapsing the art practice of Curnoe with the art of everyday life. A cinematic document of one year, shot day by day from the same viewpoint. An unusual version of the classic children's tale. Little Red Riding Hood was performed at the Labatt Marionette Theatre in London, Ontario. The adaptation was written by James Reaney, the puppets were created by Greg Curnoe and the performance was filmed by Jack Chambers. This film was unreleased. An intimate portrait of Jack Chambers, a major figure in the Canadian cultural landscape, a man who has been called Canada's finest painter. Within a carefully constructed narrative of the artist's life, this visually lyrical film includes the full range of his work from the age of thirteen until his death. The story is told in Chamber's own words and in narration, and these voices are balanced by interviews with several of the people who were close to Chambers at different times in his life. This documentary was produced on the occasion of the Museum of London's Jack Chambers Film Project. It includes excerpts from Chambers' five key films and documentation of panel presentations from Stan Brakhage, Nancy Poole, James Reaney, Ross Woodman, among others given at the 2001 Chambers Symposium.